Welcome to My Favorite Things! Each month, we highlight products to help you create a holistic lifestyle that inspires and nurtures you, so that you can be happier and feel supported. March is a month of new beginnings as we welcome Spring (finally!). One of my favorite ways to welcome the new season is to clear my space. Space clearing is useful almost any time of year, but it can be especially beneficial during new beginnings to provide a fresh slate and welcome new, positive energy. In fact, we even have an upcoming podcast where I'll talk more in depth about space clearing. Be sure to check it out on March 27! For now, here are my favorite space clearing tools! Though it isn't traditionally used in feng shui, palo santo is one of my absolute favorite ways to clear space. Derived from the palo santo tree (but only after it dies! ), palo santo has a much more pleasant smell than traditional sage and is a lovely, effective space clearing tool. Just light the sticks until they produce a thick smoke, and circumambulate! Here are more tips on using palo santo. Another of my favorite ways to clear space, which is often used in feng shui adjustments, especially around the Chinese New Year, is orange peels! Part of this ritual involves placing the peelings of nine oranges in a beautiful, clean bowl. This bowl from NellHazinskiPottery is a great example! I stumbled across Nell's pottery on etsy and love all her ikebana vases. Not only is this a beautiful, handmade piece of art, its glaze is non-toxic as well! I've mentioned the lovely ladies at FlowLife NYC before. I met them a few years ago and love their wonderful online shop. 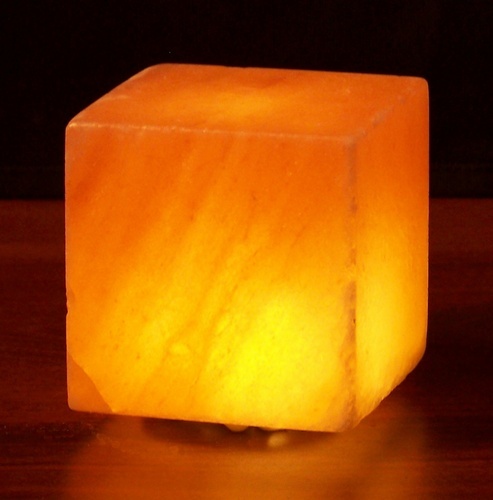 There, you can find Himalayan salt lamps, which are incredible for clearing the air of negative ions and EMFS (we could all use that!). Tammy and Maria offer square shaped lamps and pyramid shaped lamps for whatever suits your style (or if you need to add Earth or Fire element to your space!). You can also clear your space, as well as welcome the Metal element, by using Tibetan tingsha, which are small metal cymbals. As you walk around the exterior of your space, gently ring tingsha or bells. The vibrations cut through darkness and invite joy into your life. Make sure the sound of your bells is pleasing to you and your intentions are clear! Of course you can clear your space at any time, but there are some situations that can be much more draining of our energy. For this, I love to carry Lotus Wei Radiant Energy Mist! This aura mist is great to use after flying, traveling or spending a length of time near computers and other technology, including x-rays! Radiant Energy Mist stimulates the immune system, revives energy and even helps to clear your personal space of energy you may have accumulated from others. Holistic Spaces also has a spray made just for space clearing. Our newest mist, called no.3 Space, has been very popular and can be incredibly helpful in clearing spaces where you may not have the luxury of using palo santo, sage or orange peels. This clearing blend contains white sage and amethyst and is created with fair trade essential oils to be extremely effective as aromatherapy. Grab a bottle for your travel bag, office space, car...anywhere, really!